Anchorage Early Learning is a dream that Jason, Geoff and myself (Ashleigh) have had for many years. With all three of us having expertise and training in different areas we believe we will create something truly unique and special. Jason and Geoff work in the Finance industry and have extensive knowledge within financial services as Accountants. Their role within the business will predominately involve the administrative and financial side to ensure the business runs as smoothly as possible. They are both currently undertaking their Certificate III in Early Childhood Education and Care. I am a qualified Primary School Teacher and studying towards my Early Education Degree and I am passionate about children and their education. I have previously taught in a childcare centre for 3 years and then went on to study my degree in Primary Education, where I had 5 years of full time teaching experience, predominately with the lower years (K-2). I am a mother to two gorgeous young boys, Jack and Boston. I understand the importance of finding a childcare centre that is trusting and has the child’s best intentions at heart. Every decision I make within the centre, whether it be new resources or decisions within rooms, I always uses my two boys for the reference, ‘would I want that for my two boys, Jack and Boston?’ I believe that this is one of the best ways to run a centre that exceeds parents expectations. It took several months to research and find the centre that was perfect for us and bring our dream to life. Having found Grays Point Early Learning Centre now known as Anchorage Early Learning, our hearts began to grow attached to the centre. We have developed ideas to renovate and make it a place where all children can call this place their second home. Geoff and myself having grown up in the Sutherland Shire have found this centre extremely appealing as it overlooks the river and sits on three large blocks of land. The backyard area is unique as it is one of the largest we have encountered and offers endless opportunities for the children. After countless tours of the centre, Jason, Geoff and myself began to dream and work with builders to develop plans to renovate and transform the centre which is taking affect as we speak. Our centre moto is ‘Stable, Secure Education for Your Children’. We came up with this moto from our brand name Anchorage Early Learning. Anchorage according to the oxford dictionary means ‘the action of securing something to a base or the state of being secured’. As a mother and an educator, I believe all children need to feel a sense of security where they have a feeling of belonging, being and becoming. Anchorage Early Learning is that exact foundation where your child can come to our centre and feel secure and develop in those crucial first 5 years of their lives. The management team believes educators are the key to the success of any business and this will be our major focus. Through leadership, personal development and regular training of the educators, we will ensure the educators feel valued, respected and highly equipped to provide the best possible educational program and care for your children. We want the children to feel this is their home. Our priority as owners and something we embed in our educators is to maintain a close relationship with the families and the community. The educators work in accordance with the national curriculum, the Early Years Learning Framework, which is a national requirement under the Australian Children’s Education and Care Quality Authority (ACECQA). The children’s ideas and interests are the foundation to our program and guide our curriculum decisions. When children guide their own learning through play their experiences are more meaningful and there is no limit of what they can achieve. We believe children have the right to share their interests, ideas and have their voices listened to. As an educator working with children for many years, watching them discover the little things in life and realising they can do something for themselves is priceless and rewarding and we hope to celebrate these special moments together. The centre is a warm, safe, clean, professional and caring environment that is an extension of our home environment. Being a family run business and parents ourselves we understand the needs and wants of children and their parents. Our centre is open 52 weeks a year from 7:00am to 6:00pm and we cater from 6 weeks to 5 year olds, who are then equipped with the tools to embark for Kindergarten. We look forward to welcoming you and your family to Anchorage Early Learning. 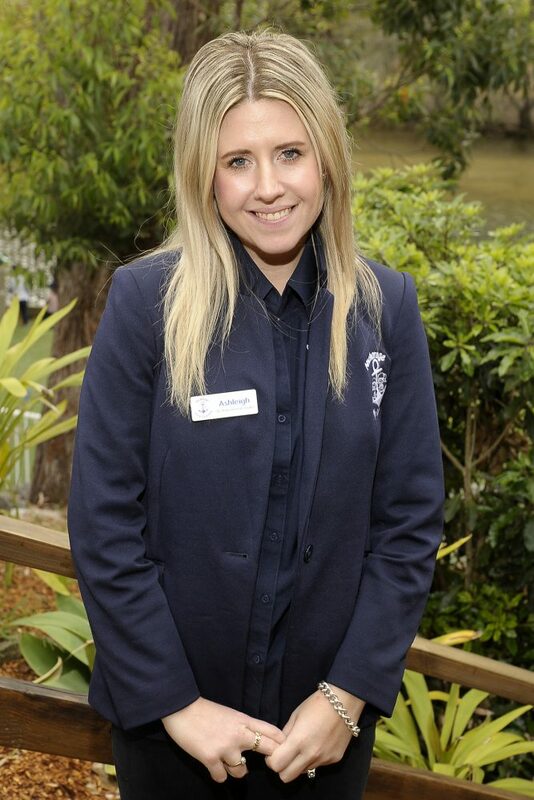 Ashleigh is a qualified Primary School Teacher and is studying towards her Early Education Degree and is passionate about children and their education. She has previously taught in a Childcare Centre for 3 years and then went on to study her degree in Primary Education, where she had 5 years of full time teaching experience, predominately with the lower years (K-2). Ashleigh is a mother to two gorgeous young boys, Jack and Boston. She understands the importance of finding a Childcare Centre that is trusting and has the child’s best intentions at heart. Every decision Ashleigh makes within the Centre, whether it be new resources or decisions within rooms, she always uses her two boys for the reference, ‘would she want that for her two boys, Jack and Boston?’ Ashleigh believes that this is one of the best ways to run a Centre that exceeds parents expectations. Fiona is the Director at Anchorage Early Learning, and overseas the day-to-day running of the Centre, staffing, as well as managing new enrolments, all parent enquiries and administrative duties. She is an extremely passionate person about the Early Education industry and goes out of her way to make every family feel welcome at Anchorage. Fiona has been working in the Early Childhood sector for six years after completing her Bachelor Degree at Australian Catholic University where she studied both Early Childhood and Primary Teaching. Completing this double degree and working within both sectors gives Fiona an in-depth perspective on school readiness and transitions. Growing up in Grays Point and now living in Kirrawee gives Fiona a unique understanding of the local community as well as the additional knowledge and connections to involve Anchorage in fantastic community involvement opportunities. Ashleigh is the Educational Leader and 2Ic at Anchorage Early Learning, leading our exceptional team by example as she works alongside them on the floor to implement our Educational program and practice. 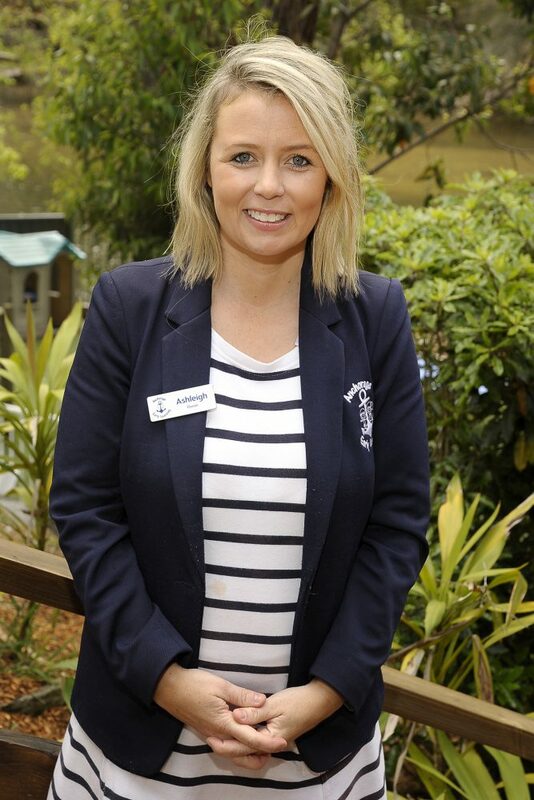 Ashleigh studied her Diploma at Bedford College before working within the Sutherland Shire and St George Districts as an Educator and Director. With ten years experience in the Early Childhood industry, Ashleigh prides herself on having an in-depth knowledge of children’s learning and development throughout the Early Years. Ashleigh strives to make every child feel safe and secure within their Anchorage environment, and always looks forward to creating the most exciting and educational experiences that every child can enjoy. Ashleigh is the Educational Leader and 2Ic at Anchorage Early Learning, leading our exceptional team by example as she works alongside them on the floor to implement our Educational program and practice. 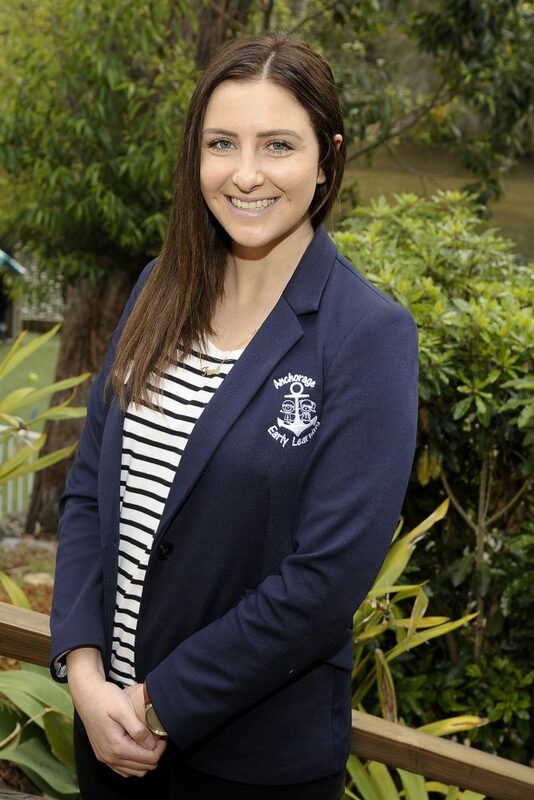 Ashleigh studied her Diploma at Bedford College before working within the Sutherland Shire and St George Districts as an Educator and Director. With ten years experience in the Early Childhood industry, Ashleigh prides herself on having an in-depth knowledge of children’s learning and development throughout the Early Years. Ashleigh strives to make every child feel safe and secure within their Anchorage environment, and always looks forward to creating the most exciting and educational experiences that every child can enjoy.